Here’s something that baffles me often: the way people gossip and tell untruths on other folks. Especially people they don’t know. Hip hop, especially right here in the Carolinas, is good for that. I hear all kinds of stories about people, some so fantastical and in varying versions that there’s no way all of them can be true. Some of y’all need Jesus. The Feature Night Thursday show on WXYC 89.3 FM Chapel Hill, NC is two years running strong. Over the course of the show I’ve interviewed Big K.R.I.T., 9th Wonder, Cyhi The Prince plus countless others. However November 2012’s Feature Artist interview, Charlotte, North Carolina’s Bettie Grind, is easily in my top 10 favorites. Our chat actually ran longer than any other interview I’ve ever done (except Charles Hamilton’s, which ran 45 minutes+). We covered a good range of topics and shared quite a few laughs. I’ve heard so many different things about Bettie Grind it’s crazy. Outside of the foolishness though one thing is clear: many consider Bettie Grind to be one of the top artists out of Charlotte and North Carolina. He’s one of the most consistent artists in the Carolinas, has enjoyed many successes as an independent and is well known as an avid contributor to community programs for domestic violence victims and at risk youth. What’s the status on his distribution deal through Select-O-Hits? Who are some of the least classy women in the industry? What’s up with the hashtag #ME title of his new album? Why is he considered the "President Obama of Charlotte hip hop"? How hard is it raising a daughter in times where black women on TV are portrayed in a less than stellar light? Who is really funding Hood Superstar Entertainment and it’s multiple business endeavors? Hit the jump to read the interview and find out! Nanci O: You’re tuned into tonight’s Thursday night feature, and tonight’s feature artist is Charlotte’s own, I bet he grinds, Bettie Grind. How you doing tonight? Bettie Grind: I’m fine sweetheart, How about you? Nanci O: Doing good, and before we get into this interview, I just want to take a moment to thank you for your time. I know it’s a Thursday, and so I really appreciate it sincerely. Bettie Grind: Oh, I appreciate you having me. Nanci O: So, I know you’re talked about your name and the meaning of where it comes from in the past, but since this is a new audience, this is UNC Chapel Hill, Carrboro, totally different audience, can you talk about the history of your name and how you got to be known as Bettie Grind? Bettie Grind: Well, Bettie Grind is different than a controversial thing, because most people look at Bettie as being a female name, and a lot of men have names that are considered female names. You have Sydney or Stacey and Danielle, et cetera, which are female names, but Bettie Grind came from my side of town, Plaza Road, North Charlotte on the Eastside when I was young. I was hustling, same story of alot of guys out there as a young guy back then. I ran around, I was, what, 15 years old, brand new BMW, Cadillac’s, just hustling. I met up with those guys, you know, getting money, and nobody could kind of figure out what I was doing. I was real low-key with it. My father was incarcerated when I was 10. I kind of came up under a different type of situation when I was out there, but a lot of people didn’t know what I had going on, so they’d just be like, I bet he grind, I bet he hustle, and it just kind of stuck. So I just flipped it, put Bettie Grind on it and been running with it ever since. I grind every day, so it manifested itself. Bettie Grind: [Laughter] Yeah, you know, it’s crazy. You kind of have a million fans and four or five haters and those haters, you know, they’ll hate everything on the block, somebody say, everybody pay attention to that. But, my mother had me, she had just turned 17, she got married to my father with me in her stomach, twenty sixs days before I was born. My mother was born in Petersburg, Virginia, we lived in Richmond for a little while. We lived in Charlotte all my life. My father was incarcerated when I was 10. He was caught by the same informant that locked up Mayor Marion Berry and Rachel Edmonds. My mother raised us from there, myself and two sisters. I hear the rumors. Up until I graduated, my mother made $7.43 working for AT&T off IBM Drive. My mother, I love her to death, she was strong, but we came up in a situation where I had days where we didn’t have water. We had to borrow water from the next door neighbor. We had to borrow water, cereal, heat the house with the stove. I was my mother’s son, husband and a brother. So I hear the rumors and there’s a lot of people that try to make up certain things, but a lot of times they don’t understand what’s going on, because I wasn’t on there on no block. I wasn’t out there, you know, putting myself in a position to be indicted or be locked up. That wasn’t where I came from, but I was five years old, my father, you speak his name in the same situation where you got informants and those type of level of people that let you know the type of game that he was playing when he was out there. So, when I came into the game, it was on another level. I say it on my albums. “What, you mad because my plug was better than yours, put my engine where my trunk is.” The game, they’re different levels. You’ve got people they’re playing on a certain level, then you got NBA players. I played that game for a little while, and I’m glad to be out of it. You know what I mean? It’s nothing I want to brag about, but they’re going to make up all type of stuff. I heard my mother was rich and I heard my mother was a doctor. I heard I got hurt in a bad accident and that’s how I got my money. I heard cats in the street try to say that they invested in Hood Superstar. I was Hood Superstar sole investor from jump street and we started a company in 2006. I got one partner, Fresh, he got 12% in the company, he bought in not too long ago. These are real facts. This is a true story. You can’t make this up. If somebody invested, somebody got something going on, show me a contract, show me you put that in. If my mother is rich, please, definitely pull that up for me, because I can stop giving her money and making sure she’s all right. My mother’s a massage therapist and aesthetician. She put herself through school with three kids, worked two jobs, had a son that was smart but would get into some type of trouble and we’re here today. But, I mean, as far as I’m making up my story, they can keep that up. You know what I mean? When I hit the ground, what I Tweet, this is real life. So, we just incorporated and I took the same hustle right here in the street and incorporated it into the music, and you can see that. Obviously, the boy got to hustle because we took nothing and made it into something for the Carolinas. So they can keep making up those stories, we’re going to keep making history. Nanci O: If you’re just now joining us, you’re tuned in to WXYC Chapel Hill, broadcasted live from the campus of UNC Chapel Hill, and tonight’s feature night Thursday guest artist is Bettie Grind, out of Charlotte, North Carolina. Bettie, I’m very glad you mentioned your label and your company, Hood Superstar Entertainment, because I see and I know that you run it like a real business. There’s a lot of independent artists that listen to the show, and also people that do videos and et cetera that listen to the show. Can you talk about the importance of handling your business properly, running it like a business, even if you are independent in the industry? Bettie Grind: Yeah, definitely. I mean, I would just say in my company, I’m sure, Nanci, you’ve seen my videos. The last three videos I did, the “Ciroc Money”, “Mr. Famous” and “What it’s Gone Be” videos, I was co-director. I wrote the treatments and we shot that ourselves in house, so I can relate to those guys, as well as the artists. We do it all independent. As far as it being business, when you start off, you’re just doing it, I can’t say exactly what they call it right now because this is a clean show, but just being professional, it took me a while to learn that. And it took me a while to getting a lot of real checks. And until you can shake all that, you’re never going to fully shake the street stuff off and being a real street dude. Then when you learn it, the importance in reading a book, it might take you a week to read the importance of LLC and all incorporating your company, corporate filing, having checks and different things that you can do so that you have a paper trail. I got my business in order for the last two years. Before that, we were just kind of running. We’d do shows, we’d just pocket the money, we weren’t keeping up with nothing. You can’t show it to the legal and prove we sold this many units. In the streets you just taking the money and you flipping it back. Now, we’ve got more of a paper trail so they can see. This is what we have set for this, this is when we bought these CDs and flipped CDs and XYZ. This is our BDS, these are our sales scans, this is the money that came from the shows. They can see the contracts and be like, oh, Bettie didn’t get no $5,500, Bettie got contracts of $5,000, Bettie got contracts for $2,500, etc, and they see us for real. When your business ain’t right, it’s just talk. It’s just like the word in the hood. You going to throw stories out there, it’s just words for the air. You know what I mean? So anybody can see it then. Anybody can believe it. Now? Business first. I tell anybody that. You will make so much more money when your business is in order. As long as you’re running your stuff like a corner business, it’s going to stay a corner business. But when you transform it and try to make it into a corporation, you will see yourself walking as a businessman and getting real business checks and it’s a good feeling. Nanci O: I want to talk about your reputation in Charlotte, and the reason I want to ask is because you’re like a celebrity in the city. 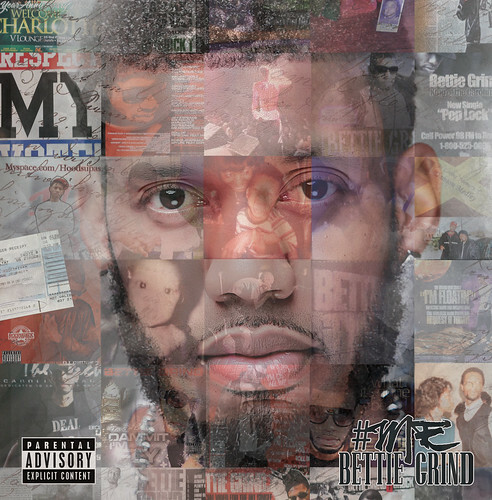 Bettie Grind is like the President Obama of hip hop in Charlotte. The level of respect that people in and outside the industry, outside of those four or five haters because they’re always going to be there, is they hold you to a very high regard. What did you do over the years, to build up that reputation and be able to command that level of respect? Bettie Grind: It’s just being consistent. I think the biggest fault that a lot of artists have in the Carolinas or anywhere, but definitely from the Carolinas, I think they fall short because a lot of us are inconsistent. You see a lot of artists coming out, they drop a mixtape and they pushed it for that week online or in the streets and then you don’t see them no more. You see them get a song on the radio and then they push it for a month and then they’re onto the next thing. And you can’t push anything like that! I pushed “Dammit I’m Fly” for three years. It’s at over 9,000 spins, and I don’t even know how many downloads. I know as far as iTunes, we made well over five figures from it, just on selling that single and show money, almost close to six figures, on that one record. But it’s just that my city respects me, I think, because outside of everything that the haters say and everything, I think they respect my hustle, they respect my grind. They respect the fact that I love my city, like everything I do, I represent Charlotte. I represent the Carolinas, I believe that we’re all one unit, North and South Carolina. I didn’t stop at “Dammit I’m Fly”. I went to “I’m Floatin’”, I went to “What It’s Gone Be”, I went to “Ciroc Money”, then “Mr. 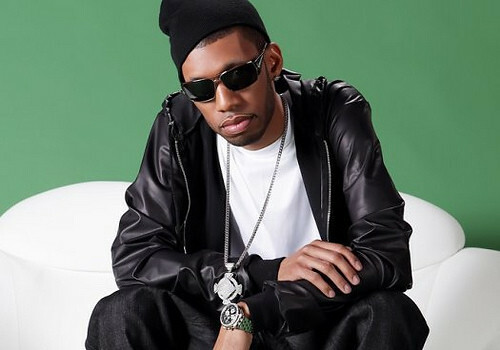 Famous”, now we got “Shoot Dem Down” featuring Verse Simmonds. I dropped five, six mixtapes and I did features. I went out and got Drumma Boy. They see we do it on a level that is industry-like. You can find it on the BET awards. Every year, you can expect to see Bettie Grind commercials, the Hip Hop Awards, you can see it during All Star Games. It’s just a level of respect they have to have for me because I didn’t put myself in the likes of a local artist. I put myself in the likes that I want to compete with TI, Wayne, Jeezy, Jay, et cetera. I didn’t want to be put on a level they say, okay, you like the rest of these guys, because my team didn’t feel like I was. And somebody told me the other day, and I never thought about it, it was an industry executive. “Bettie, they have so much respect for you because you did it from right there”. Nobody done that. Not Jodeci, not Anthony Hamilton, and I’m cool with these guys, it’s not like I’m dissin’ them. I’m cool with them. Anthony Hamilton has a lot of wisdom. I think they really embrace me because I’ve grown from nothing to something. I did it from right here and there’s never been a Bettie Grind. Nanci O: WXYC Chapel Hill, broadcasting live from the beautiful campus of UNC Chapel Hill. If you’re just now joining us, it is Feature Night Thursday. I’m your host, Nanci O, and tonight’s feature night artist guest is Bettie Grind. So, Bettie Grind I know you do a lot in the community, not just in your community of Charlotte, but throughout both states, and you’re going into the schools, you’re going into these community programs and you’re talking to the children. When the kids ask you about being a rapper, being in the industry and being famous, what are some truths that you tell them about the industry to make it really real for them? Bettie Grind: The main thing I let them know is that you need your education. A lot of cats feel like you can just come off the block and you’re going to get a million dollar check. These guys, Jay-Z, Slim, Master P, P-Diddy, are college graduates. A lot of these guys are educated and that’s why they make the money because they know that when you step into these meeting with executives, you got to have your business in order. I talk to a lot of them about just making sure that they understand that English and Math will come about in this industry. It’s not just about snares and drums and beats and bars. It’s definitely about the business. It’s 90 percent business, 10 percent talent, really 5 percent talent because the other 5 percent, you’ve got to chuck that off for what your team is doing for you. But really, it’s 90 percent business. I also talk about respecting yourself and not getting caught up in the ignorance of a lot of the artists out here, because there’s a lot of ignorance in this music right now. Even with myself, I look at a lot of the songs that I made, a lot of music I made, and I have the affinity to make club records and radio records. But I came from the underground. I started off performing with Little Brother. I started out performing at the Cat’s Cradle and different places like that when I started off. Music will fool you into believing that it’s a reality. People see me coming out in the club and I got on my diamond necklace, Rolex, earrings and my shades on. It’s me, but it’s a small part of me. That’s that two hours you see me in the club, but them other 19 hours I’m up, I’m working and on emails, making deposits and talking to a tax guy. I’m talking to my manager and we’re setting up interviews. It’s business, not what you see for those moments you see the artist up on stage. It’s just not like that. The cats that you see that are projecting it to be that way and making you think that, hey, this is the way it is, that’s why you only see them for six months. In six months they’re shot or in six months they’re in jail or six months they out the game or someone jumping on them. That ain’t business, I’ve been through all that in the streets. I’m in this game right here so I can do something for the next generation and break generational curses and do something better. I can’t do that if I’m getting shot at and getting robbed and in fights. Also, I want to respond to a lot of stuff a lot of these cats say, but my business mind lets me know that’s not important! So I also let these kids know, build your brain up, along with your brand. Nanci O: You know what, you do Tweet a lot about your daughter. You talk a lot about her online, and it’s interesting because T.I. once said that his main goal as a black father is to keep his sons out of jail and his daughters off the pole. So do you find it challenging raising a girl in our world of reality TV, social media and instant access? Bettie Grind: My daughter and my niece, I take care of them and my God daughter as well, and I’m the only boy – the only other boys in my family, a brother to me, my first cousin, we was raised together, and he was murdered, but I come from a family of 16 girls, so I also watch my cousins and sisters. But, it is hard. My daughter’s not allowed with none of that, like she don’t have a cell phone. She can have a game system, she can watch this and she can watch that, but all the BET and all that? It’s not for her. She can enjoy that and make her decisions on it when she gets older. And I won’t lie, she’s spoiled, because I won’t do nothing for myself that I won’t do for my child. But at the same time, she’ll come out with me to events. She will be with me next week when I go feed 100 families for Thanksgiving and give out 100 turkeys. She comes out with me when we go to domestic violence shelters and help raise money for the women so that they can have a place to stay. Then I explain to my daughter that these women are here because their husbands were beating them and they had to come here with their families and bring their kids with them. I want to help her to understand that. She needs to see that. I think a lot of parents, they shield their kids from the realities of life. And I spoke at a school this past week with kids that barely graduate. You see what happening is that they’re just trying to live too early. My daughter is 11 years old. I had her super young. She still believes in Santa Claus. There’s no reason for me to expose her to more, I want her to enjoy these years she has as a child. I’m happy for that, because my life was so rough that we knew there was no Santa Claus early because Santa Claus didn’t come a few years. It’s difficult, man, but you just got to be a good parent. For all those guys, I tell them you got to be fathers. For the young women, you have got to start respecting themselves. I talk about that to a lot of kids at school. A lot of those girls, that’s the first thing I say: You have got to respect yourself. You can’t expect nobody to respect you no more than you respect yourself. So if you acting crazy, he’s going to treat you crazy. You know what I mean? That’s just real, so I’m raising my daughter with a lot of pride, let her know that I’m out here risking my life for you every day. With the music now and before the music. Nanci O: WXYC Chapel Hill, broadcasting live from the beautiful campus of UNC Chapel Hill. You’re tuned into tonight’s Feature Night Thursday show, and this month, November’s featured artist is Bettie Grind. If you’re just now tuning into the interview, definitely stay tuned after Bettie Grind’s interview. We’re going to take you back into Bettie Grind’s discography. We’re going to play some of his older tracks, as well as some new cuts off of his brand new album, #ME. So, Bettie Grind, the industry right now is very do-it-yourself. There are a lot of artists who are prospering off of signing themselves. Yo Gotti got himself out of his contact, Mac Miller is doing it independent. Would you ever sign to a major, and if you would, what specifically would it take for you to do so, if the opportunity came to you? Bettie Grind: To sign with a major label? I’ve been in those offices. I’ve been to Sony four times, I’ve been to Universal and Def Jam. Some of the deals that I’ve watched some artists from the Carolinas take? We can see why nobody’s popped yet. It’s got to be the right deal. The deal I want and that I need would be a deal that would help the Carolinas really break the glass. It’s got to be something to where I can really move forward and do something on a large level and help more artists to be able to step through that door and move forward as well. Thus far [what’s been offered] it hasn’t been that. It’s been a different situation, where you’d get a little bit of pocket change and then you’re right back in the hood, doing the same thing. Being independent has worked for me. I got a distribution deal last year with Select-O-Hits. They did Trap Or Die for Jeezy, plus deals for Master P and Cash Money before they signed their deals. We did the deal with Select-O, learned a lot from it, now we doing it ourselves with the #ME project. Honestly, it’s a situation where if you’re not getting a deal and it’s not close to seven figures, where you got some real control of the money to where you can do the things and they’re not trying to play you. Such as, they’re buying beats for you and saying the beats cost $10,000 and they really got the beats for $3,000 and they pocket $7,000 of your budget. It all comes back to the business. For Bettie Grind to sign a deal, it’s got to be a situation where being in control of it and being able to make things happen and being able to help more artists to get to come through that door, you know, because a lot of times they’re giving out a lot of deals that really are only setting us up to fail, because the amount of money that’s involved with them and the control that we have is not enough for us to really be able to excel and really do something and make a dent in the game. And until I got a situation like that, it won’t happen, so I enjoy my independence. I can get out here and we can step into a club and do a show, get those couple thousand, come out here and sell some CDs while we’re in there, some t-shirts, get back on the road and keep moving. Honestly, if you’re independent and on a bad year you make $60,000, that’s a good year. You know what I mean? That’s a good, good year. And if you have a great year and you make over six figures, you’re doing way over. There’s a lot of artists who are on, who are not making that kind of money. It’s just putting yourself in a position and branding yourself. But for me to sign a deal, honestly, like being real with you, it would have to be a deal where I have control of it and it would definitely have to be upwards near the $750,000 to $1 million mark for it to really happen, because if it’s not at that point, then I’m good. Life’s okay with me. Nanci O: Well they say it takes a good 10 years to hit onto the mainstream, so based on that, you’ve been in the game since about ’04 or ’05, so you’re right around years 8 to 9. What, if anything, are you going to be working on or doing differently over the next year and-a-half to two years, to give your brand that extra edge, to push it to the next level? Bettie Grind: Well, the next focus coming into 2013, of course we got the new single, “Shoot Dem Down”, we’re going to be pushing that. But, I’m getting back to the beginning of Bettie Grind. Like a lot of the records that I’m recording right now are more conceptual records, are more where I started from. In the Carolinas it was hard, because a lot of us were underground rappers and the radio was holding us back because they weren’t playing our music. So a lot of us had to step out and try to make records that would get played on radio, and so I had to do that with the records I did. With “Dammit I’m Fly”, we went national with that. 50 markets, all the way to LA, independent. But the next step is making more real music, more conceptual music, as I say, forever music. Not just a radio hit that’s going to last for six weeks or six months, but music that people can play forever and the hits will come. The next thing for Bettie is definitely you’re going to start to see the real, true me and not me just making the records for the club and the radio. So that the people can recognize, because that was a hard thing, just trying to get the Carolinas to believe in their own. For some reason, they only believe in the hit. J. Cole, they didn’t even believe in him until he sold his records. Ask everybody, they thought he wasn’t going to sell nothing because he didn’t have a real radio hit and he showed that it could be done. But, you’ll just see more hip hop. We got a real good fan base now through the Louisiana, Mississippi, Texas, Baton Rouge areas, and we’re going to work them. We get a lot of money from that, we’re going to try to branch out a little bit more to the South area, as they call it the “chitlin’ circuit”. I’m just being consistent, making more hot music, trying to please the people, please myself. I’m trying to kick open these doors for the Carolinas, man, because we all we got. Unfortunately, a lot of us don’t realize it. Nanci O: WXYC Chapel Hill, you’re tuned into tonight’s Feature Night Thursday show. As always, I’m your host, Nanci O, and November’s feature night artist is Bettie Grind, representing Charlotte, North Carolina. So, Bettie Grind, now let’s talk about your brand new album that was just recently released, and it’s titled #ME. Is that a Twitter hashtag? What was the whole meaning behind your title of your new album? Bettie Grind: Every day I heard a different story. I’m like, wow, really? I got a baby here, I got a baby there, I’m married, every day it was some new lie and I was just like, wow. So, the #ME project, I’m just giving people me. I talk about my mother, I talk about my daughter, I talk about my friends, because 90 percent of my friends, they’re either dead or incarcerated, unfortunately. So, the #ME project is a step into a less braggadocio Bettie Grind, it gives you more of a step into my life. There’s still the hits but it’s everything Bettie Grind. I try to address every real rumor that people have heard. I address all that and I addressed all that craziness about my mother. And she’s laughing about it. We had a listening session for the album and she came and I introduced her to everybody. I’m like, yeah, this is the lady in the back that everybody thinks is rich. She started laughing. It’s crazy. Nanci O: Well, I’m glad that you put quite a few cuts on there for the ladies, because I find that some artists, especially indie artists, and artists from Carolina, forget about the women. So my favorite track is “Addicted”. Nanci O: You’ve got excuse my singing, but heck yeah, that’s my jam. Let’s talk about some of the features. Sequence is on there and you also have production from Drumma Boy. That’s pretty major right there. Bettie Grind: Yeah, Drumma that’s the homie. We’ve done a lot of records. We did past business and he became a real friend and a real mentor, so to speak, in the game. He told me when he bought the “Dammit I’m Fly” record, he’s like Bettie, I ain’t like the other producers. Man, I’m going to help change your life, and he did. That record changed my life, literally. Drumma’s he’s rapping on there, the “F.U.N” record. I got Sequence on there, he was on Meek Mill’s Dreamchasers 2. I got a female producer on there that did three records on #ME, “Gucci Size 11”, “You Know What It Is”, she’s 17 and out of Indianapolis. She’s signed to Slip-N-Slide Records as a producer. So there’s some diverse music on #ME. Bettie Grind: I definitely do it for them. They support me wholeheartedly from the beginning. Nanci O: WXYC Chapel Hill. You’re tuned into tonight’s Feature Night Thursday show. November’s feature night artist is Bettie Grind, representing Charlotte, North Carolina and his new album #ME, is in stores now. So, Bettie, before we end this interview, I’d like to play a little game. If you don’t want to play, you just tell me I’m not cool with it, Nanci O.
I’m going to say two words, and you’re just going to pick one. It’s called This or That, and you just pick whichever one comes to your mind first. Is that cool? Bettie Grind: Okay, that’s cool. Nanci O: All right, so the first one is Watch the Throne or God Forgives, I Don’t? Bettie Grind: Watch the Throne. Nanci O: Meek Mill or J. Cole? Nanci O: Christian Louboutin or Gucci? Bettie Grind: Oh, all day the red bottoms! Nanci O: Mike D’Antoni or Phil Jackson? Nanci O: Rosa Acosta or Pinky? Bettie Grind: I like my women to be classy. Nanci O: Okay. [Laughter] Okay, all right, so then Taraji P. Henson or Paula Patton? Bettie Grind: Which one is Paula Patton? Nanci O: That’s Robin Thicke’s wife. Bettie Grind: Woo oh that’s a bad mamma jamma right there! Yeah, I got to go with Paula on that one. You know, Taraji, she seem like you have some fun with her, but that Paula, she’s something else now. Nanci O: [Laughter] All right, and the last one is Thank God for C.R.A.A.A.A.C.K.! or #ME? Nanci O: So we’ll tell the listeners to get both of those projects then! Nanci O: [Laughter] So Bettie Grind, before you go, before you introduce your new track, “Shoot Dem Down” to the listeners, is there anything else you want the listeners at Chapel Hill, the students of UNC Chapel Hill and the citizens of this area, to know about you or your music that we didn’t cover in this interview? Bettie Grind: If I could say anything, number one, I’m a Carolina boy and I believe in Carolina blue. You know what I mean? Everything I’ve done, it was for nothing, I didn’t have any advisors, I didn’t have anybody to tell me what to do. I just started off and tried to do something I believed in. I came really from nothing to something right here from the Carolinas. We believed in a dream and we took “Dammit I’m Fly” from people telling us they didn’t like that record to it playing across the country independently. “Ciroc Money”, 15 markets. “What It’s Going To Be” in 15 markets. “I’m Floating”, 15 markets and the “Mr. Famous” video too. It’s a true story if you watch it. My brother who was murdered, he watched that video. You can see it and this isn’t a game for us. We’re really trying to put on for the Carolinas. Just listen to me. From the mixtapes, I Am He G’Sus, just listen to what I’m saying and you’re going to see why No I.D. was like you really are G’Sus, in a sense. Not saying, because I believe in Jesus, let’s get that out the way too. Go to Bettiegrind.com and just catch up. When we do this man a lot of cats try to compare themselves but there’s very few men like – you got Petey Pablo, who did his thing, and then you got J. Cole right now blowing up, you got Pooh [Rapper Big Pooh] from the Carolinas who’s originally from up that way, told me, I was the man and I took that really to heart, because a lot of people don’t recognize the work I put in, but just check the music out, man. I promise you won’t be disappointed. We do this fully independent, so just support it. Man, we can’t survive without you, I swear. Nanci O: Can you give us your website one more time and also your Twitter, Instagram or anywhere else you want the listeners to check you out online? Bettie Grind: Yeah, definitely. You can get the album on iTunes.com, Bettiegrind.com, of course FaceBook I got three of them, you can hit me on any of them. If you leave me a message, I do hit back. Instagram BettieGrind and on Twitter @Bettiegrind. I do respond back. I’m human, just like you guys. Even those people who put me in a certain light for different things, I know that God giveth, God taketh away. I’ll just say this: Support is an action. It’s easy to say it, it’s easy to feel it, but an action, I could see it, feel it, it becomes real. So, we need you all to buy the music, we need you to request the music. The Carolinas are at a very volatile state, and it’s up to us to change it. If I fail, we fail. We fail, I fail. Nanci O: WXYC Chapel Hill. Thank you once again, Bettie Grind, for your time. I really appreciate it. You’re always a welcomed guest on the show. Bettie Grind: Thank you so much. This entry was posted in Featured Artist, Interview and tagged Bettie Grind. Bookmark the permalink.